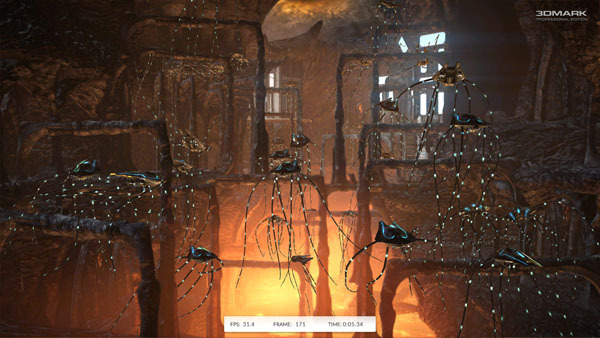 3DMark is the latest version of this hugely-popular synthetic benchmark. Making use of DX11 features such as tessellation, compute shaders and multi-threading, it provides modern-day results and is available as a free download. 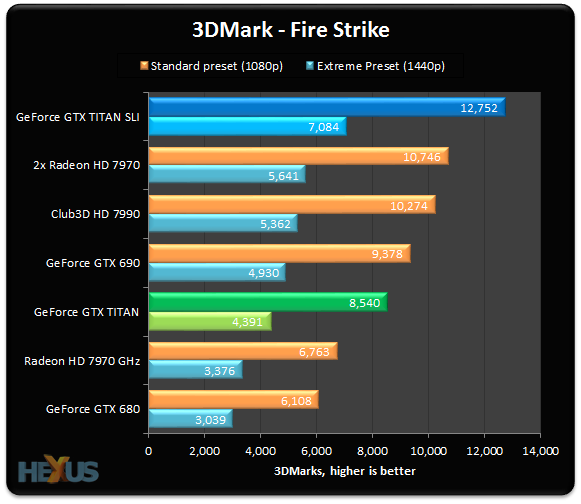 TITAN SLI puts over 60 per cent into a single card. The bottleneck, as you can probably divine, is actually a Core i7-3770K CPU; TITAN SLI continues to scale reasonably well if we increase the CPU clock.